This hamster is extremely cute. 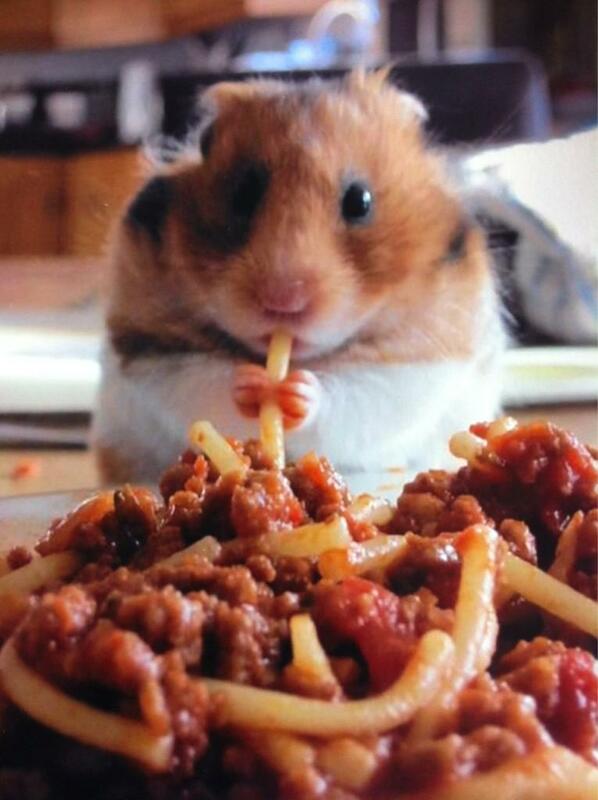 Ergo, hamsters eating spaghetti are extremely cute. It also kind of looks like he's playing the clarinet.